Coaching youth basketball is a great way to help get young athletes ready for middle school, junior high, or high school basketball. You are able to teach them the fundamentals of the game, team work, and most importantly, sportsmanship. 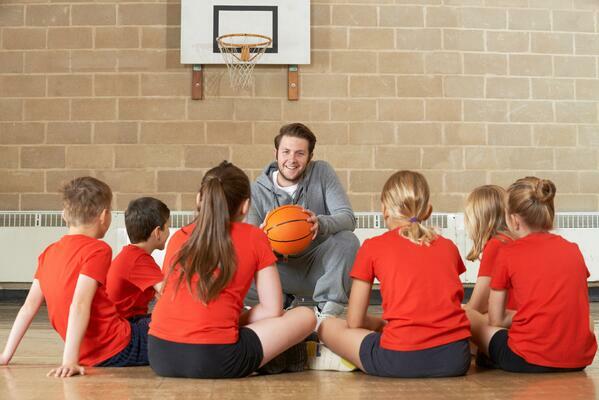 The basketball drills you teach your players at practice will set the stage for their future success as leaders and athletes, as well as their love of the sport. In order to teach them how to have fun and about sportsmanship, you are going to want to have a few go-to basic basketball drills for kids. I'm going to give you some basic drills that are going to be easy enough for young athletes to get a good grasp of the sport, but will let them have fun at the same time. If you are going to be coaching kids under the age of 10, you are going to want to stick to the very basic fundamentals of basketball, such as passing and dribbling properly, and having good form when you shoot. Whether it's a jump shot, layup, or foul shot, you are going to want to teach them proper form. Here is a list of basketball drills for kids with play-by-play instructions that you can teach. Just don't forget the importance of sticking to the basics to start off! 1. Have your team line up in rows. 3. Next, start to execute the lay up by moving your right leg forward and raise your right knee so it looks like you are trying to touch your knee to your nose. 4. Then, instruct your team to drive to the basket and shoot the ball using the right hand shooting motion. They should make the shot while they are in the air, and they are going to want to remain in the follow through position until they have landed on the ground. 5. Practice this with your team several times until they get very comfortable with it, and then switch things around and do it from the left side. This is a basketball drill for kids that you are going to want to run through at every practice. Your team can't score if they don't shoot! Basic shooting drills are fun for your team and will help them learn the correct form. This will teach them good shooting habits that they will have forever, and can build on if they continue to play as they get older. 1. First, you are going to want to pair your players up into groups of three and have them find a basket. Have one player on each side of the basket, and one in front of the basket. 2. Have the player that is shooting stand about two feet from the basket to start out. 3. Right handed shooters should have thier right foot pointed at the center of the basket. 4. The left foot should be at the same width as their shoulders. 5. Instruct the shooter to bend their knees at about 45 degrees. 6. Bring the ball in and hold it with only one hand (the right hand if they are a righty). Their arm should make a 90 degree angle when doing this. 7. Look at the front of the rim. 8. Then, go ahead and shoot with one hand. The shot should be coming from the player's legs. When the ball is released, it should look like the shooter is putting their hand in a cookie jar (with hand and fingers extended downwards). 9. Practice shooting 20 to 100 shots every single practice. These are just two basic basketball drills for kids that you can start out with. There are several other drills you can do, such as passing drills, foul shooting drills, screening drills, and some rebounding drills. Maybe your team's uniforms are straight out of the 80s, but at least your players will know how to shoot! Once the team has learned those drills and can do them properly, then you can move on to more advanced basketball drills. Best of luck with the upcoming season!